Haley poked fun at President Trump and his his longtime rival Sen. Warren. Outgoing U.N. 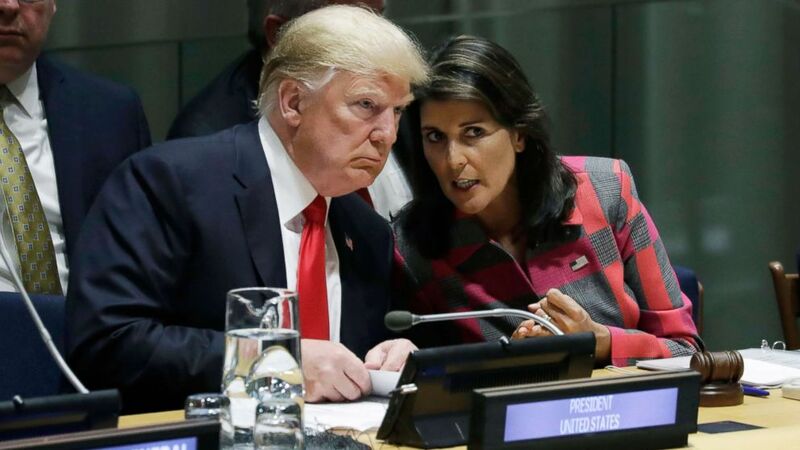 Ambassador Nikki Haley poked fun at President Donald Trump, his longtime rival Sen. Elizabeth Warren and other high-profile politicians in a lighthearted speech on Thursday. Haley showed off her aptitude for keeping a secret last week with a shocking resignation announcement, but she displayed a brand new talent during her speech in New York City on Thursday as she assumed the role of a comedian for the night. Haley kept the crowd entertained during her keynote speech at the Annual Alfred E. Smith Memorial Foundation Dinner, a fundraiser for impoverished children, and she even touched on the president’s ongoing feud with Warren, D-Mass., over the senator's Native American ancestry. Haley, who will keep her post at the U.N. until the end of the year, acknowledged that she had tough shoes to fill as keynote speaker, an honor most-recently bestowed to House Speaker Ryan, Trump and Hillary Clinton. “I really am super excited to be at the Al Smith Dinner. As a member of the Trump Cabinet, it is a thrill to be out to dinner without being harassed,” Haley said. "Actually the president called me this morning and gave me some really good advice. (Evan Vucci/AP, FILE) President Donald Trump talks to Nikki Haley, the U.S. Ambassador to the United Nations, at the United Nations General Assembly at U.N. headquarters, Sept. 24, 2018. Haley also made light of her role as America’s ambassador in a joke about “the most important thing” she learned working under Trump. “I learned that the U.N. has 193 member nations, 180 of which are mad at us on any given day, and the most important thing I learned is that with all of our differences there is still one thing that unites all 193 countries: At one point every single one of them was paying Paul Manafort,” she said, referring to Trump’s former campaign chairman, who was convicted on federal money laundering charges. The former South Carolina governor also delivered punchlines about rapper Kanye West and Trump’s embattled attorney general, Jeff Sessions. "Jeff Sessions wanted to be here but he recused himself," she said. "Actually I saw Jeff Sessions earlier today, but not in New York, I saw him on LinkedIn looking for a job." (Olivier Douliery/AFP/Getty Images) Nikki Haley, the United States Ambassador to the United Nations during a meeting with US President Donald Trump speaks in the Oval office of the White House, Oct. 9, 2018, in Washington, D.C. 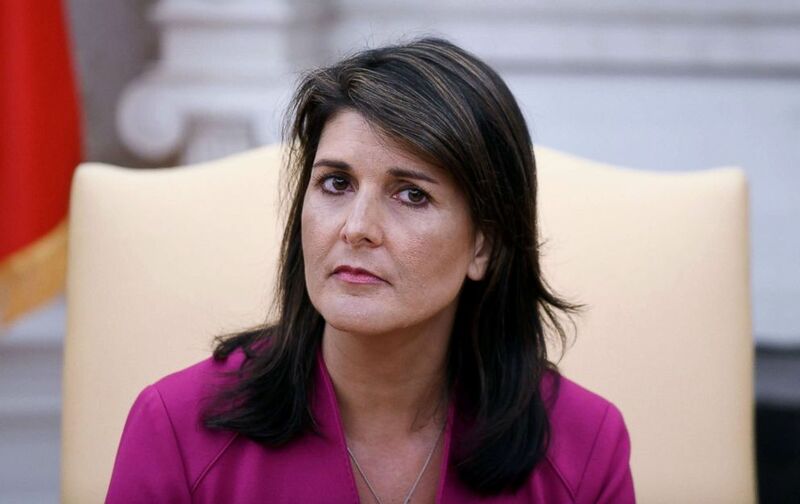 The Al Smith Dinner, a white-tie gala featuring prominent politicians, was one of Haley’s first appearances since announcing her resignation in an Oval Office meeting with the president Oct. 9. "I expect to continue to speak out from time to time on important public policy matters, but I will surely not be a candidate for any office in 2020,” she said following her announcement. “As a private citizen, I look forward to supporting your re-election as president and supporting the policies that will continue to move our great country toward even greater heights."